Dead Island: Riptide might not feel like a full sequel, but it's not quite DLC level either. The game sits inbetween in terms of quality and content, and that's not necessarily a bad thing. So what can you expect in terms of the game's co-op capabilities? Thankfully it's largely the same as the original game with a few minor enhancements like the ability to import your character. How many players can play Dead Island: Riptide locally (couch co-op)? How many players can play Dead Island: Riptide via system link or LAN? How do I enable LAN play? How many players can play Dead Island: Riptide online? How do you begin a co-op session in Dead Island: Riptide? 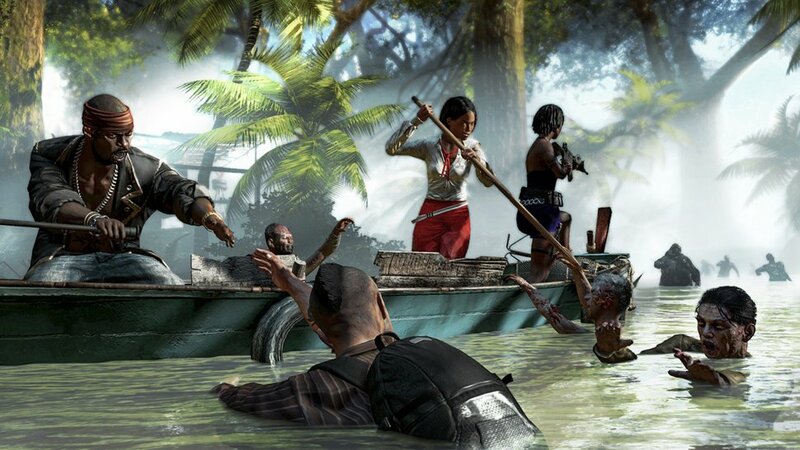 How does save game progress work for co-op play in Dead Island: Riptide? Can I join a game if the host is further along than me in Dead Island: Riptide? What happens when I import my character into a new game? Dead Island: Riptide doesn't support local co-op play. Under the options menu choose online and then change game visibility to say "System Link" or "LAN"
Local play isn't supported, therefore combo co-op isn't possible. Co-Op play can happen a number of ways in Dead Island: Riptide. Players can choose to leave their world open and friends or other players can join. The game will also notify you if a player of similar progression is nearby and you can press a button to join. Or you can invite a friend to play via the in game menus, Xbox Live or PSN. All quest progress is saved to the player's respective character. Loot, money, experience is shared and instanced. Yes. Dead Island: Riptide automatically scales each player's instance to their own level as well. What happens when I import my character into a new game of Dead Island: Riptide? You can import your character as long as you have a previous save. Doing so keeps that character's current level and skill unlocks. Characters start at level 15, so you'll have a few things to unlock right from the get go if your character wasn't that level yet. You do not carry over any inventory. Page created in 0.2554 seconds.